Ahead of Baselworld, Jaquet Droz has released a preview of their newest Grande Seconde timepiece, which will now come in a deadbeat seconds variation. 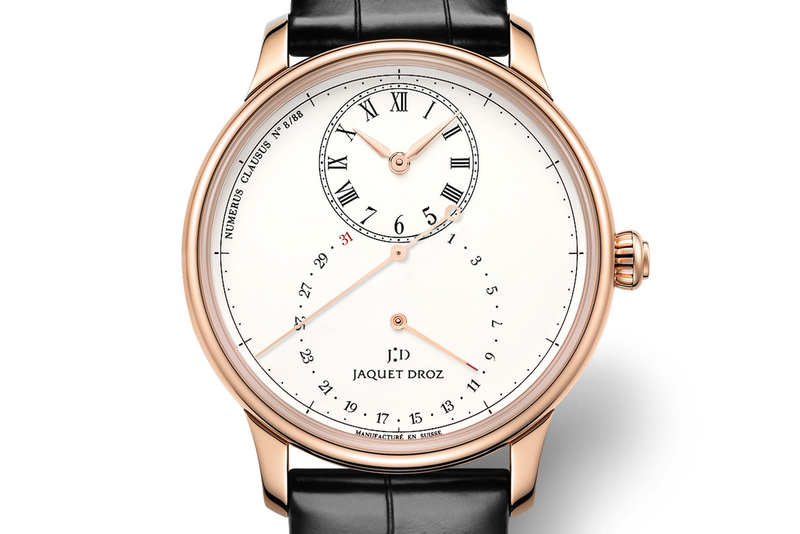 The Grande Second Deadbeat is presented in a 43 mm diameter, fully-polished, red gold case. The ivory colored dial was created using the “Grand Feu” enamel technique which requires firing it in the oven. This is one of the most difficult techniques for decorating a watch and offers very high durability. All indications are printed in black (except the 31st of the month in the date subsidiary dial, which is red). At 12 o’clock is an hour and minute display, with Roman numerals for the hours and dots for the minutes, and red god lance-shaped hands. At 6 o’clock is an oversized date display. And around the perimeter of the entire dial is the deadbeat seconds display. Deadbeat seconds move in one-second steps, thanks to a cam with 10 teeth and spring lever (similar to how a quartz second hand moves). 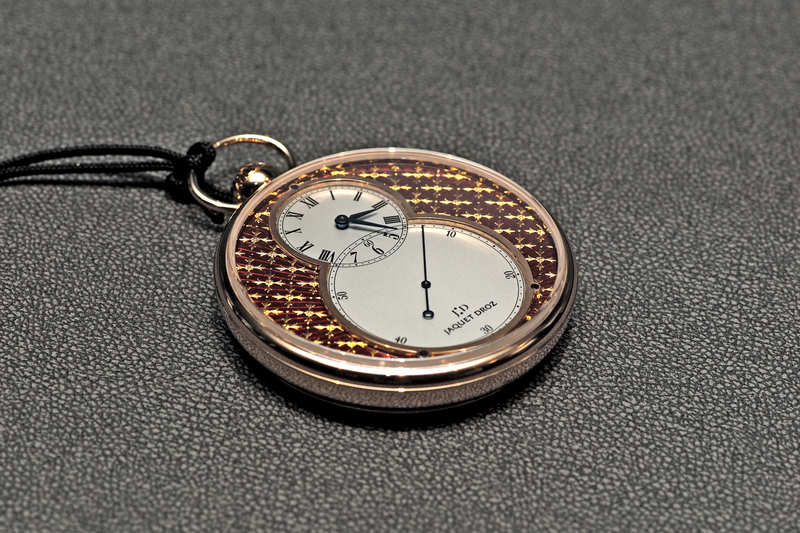 This complication was invented in the late 1700s as a way to measure elapsed time without using a chronograph. 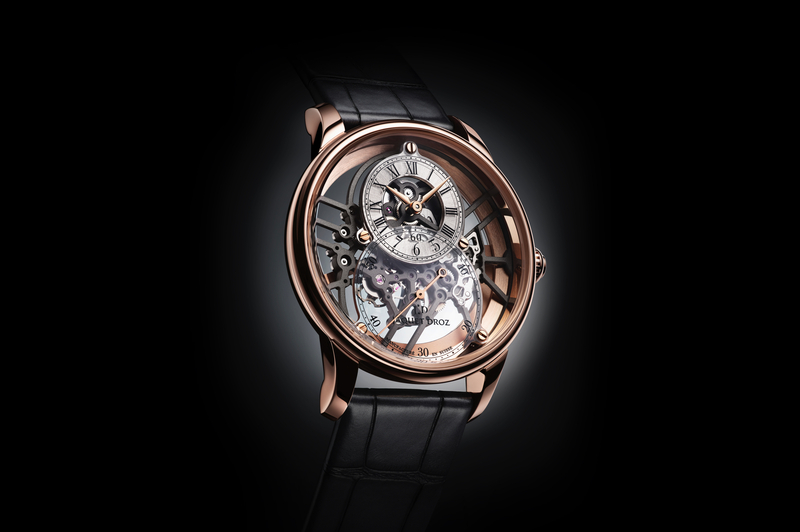 The movement is self-winding, has a silicon hairspring, gold skeletonized rotor and features beveled edges and a Côtes de Genève rayonnantes pattern on the bridges. 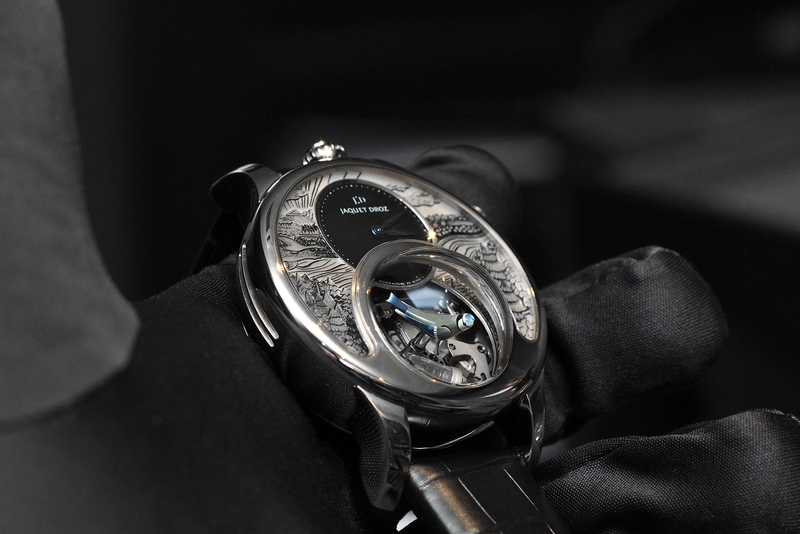 The Jaquet Droz Grande Second Deadbeat comes on a flat, black alligator strap and is limited to 88 pieces.